What first motivated your interest in writing about London property? I first became interested in all things housing related throughout my undergraduate degree course in Social History. From the slum clearances enacted to make way for modern housing estates to the introduction of town and country planning, the history of housing policy has impacted our city in various ways. You’ll notice I like to pepper the HMO regulation blogs with occasional interest pieces and more often than not they will have something to do with history! My first proper encounter with HMO licensing was during my time spent working for the Citizen’s Advice Bureau in Hastings. I delivered information to clients who were tenants of some of the worst rental accommodation in Hastings. I also worked with landlords who had issues understanding the HMO regulations and helped them understand the requirements and processes of getting licensed. We were fortunate enough to have visits from the local council to give updates to the team on the changing legislation. Why does Hastings particularly take such a sharp approach? Well each council has the right to make small variations in HMO policy and how they would like to enforce it, this has resulted in nationwide discrepancies and confusion. 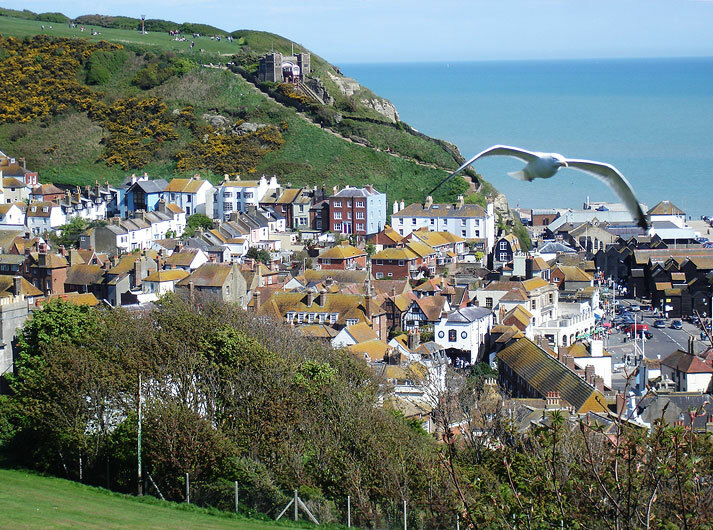 For Hastings, the town’s main growth period was during the turn of the 20th century when the British Seaside was the unrivalled holiday experience. Large three storey properties were erected along the promenade and throughout the town. Many of these properties did not receive the care and renovations they needed throughout the towns decline toward the latter end of the 20th century. Hastings is notorious for poor private rental accommodation, most of the large properties have been converted into flats and many are in poor condition. Hence Hastings Borough Council taking HMO regulations very seriously. Where do you stand with HMOs? I feel for the good landlords who are getting penalised heavily for the mistakes of those heavily publicised ‘rogue’ landlords. I understand that the legislation brought in from the government over recent years has but unprecedented amount of responsibility onto landlords. However, with that said, I am extremely sympathetic to the tenants too and can see the reasoning behind councils wanting to impose stricter HMO licensing. A third of total rented property in England is supplied by the private rented sector, the council needs to have ways and means of ensuring standards across the broad. What would you like to see for the future of HMO regulations? More clarity! I think national government should take more responsibility over clearly defining the variations on HMO policy across local government. In light of the upcoming changes, I would hope the proposed changes are clearly outlined and landlords and given the help they need to fulfil expectations. How do you get your knowledge? Hansard is my main source for parliamentary activity, theyworkforyou.com is also a fantastic source. I keep a close eye on the news and check for updates on local council webpages. My main hangs are property forums; I like to get to know how HMOs are affecting real people as much as what government ministers are planning.